No time for a really long hike? 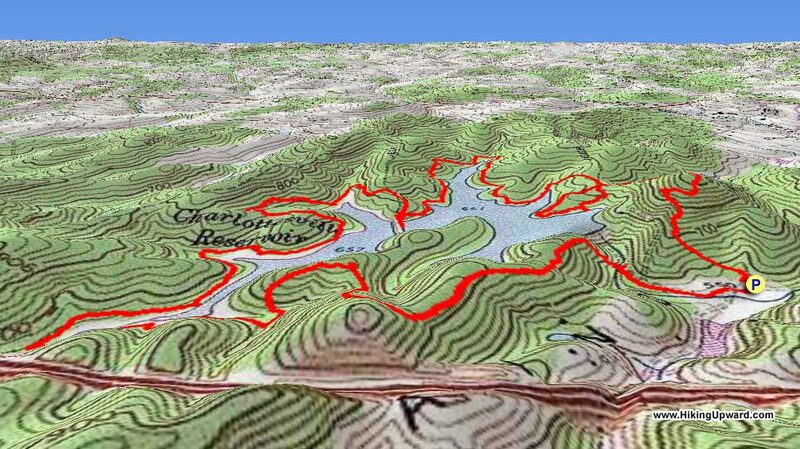 Then Ragged Mountain Reservoir just minutes from Charlottesville, will fit the bill. 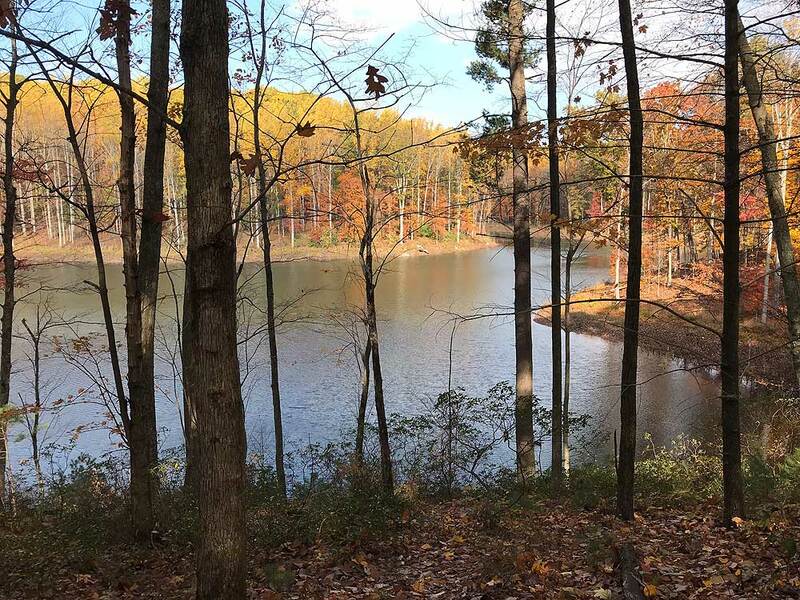 Although there are no Panoramic views as many of our hikes have, there are beautiful views of the reservoir throughout the hike. Ragged Mountain previously was managed by the Ivy Creek Foundation but is now part of the City of Charlottesville Parks. Edgar Allan Poe rambled through these hills while a student at UVA. Over 4 miles of the trail are shoreline. There are a couple of good climbs but overall this is a fairly easy and pleasant hike. This hike can be done in either direction. We did it counter-clockwise, with the trail starting just to the right of the kiosk at the end of the parking area. The trails are well signed at intersections and with some blue blazes. Mile 0.0 - Begin a short tough climb, bear right at the top. Mile 0.3 - The Round Top Trail intersection is on the right, stay straight on the Ragged Mtn Trail. Mile 0.9 – Water Tower, bear to the left of water tower. Mile 1.1 – Reach intersection with Bear Statue, bear to the right onto Trail. Mile 1.6 – Eagle Statue, cross small bridge is just beyond the statue. Mile 2.1 – Upper Loop comes in on the right, stay straight. 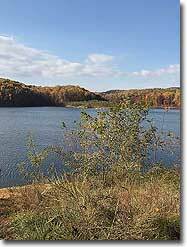 In less than 100 yards you will see the brick outline of the Sugar Hollow Reservoir pipe tunnel. Mile 3.3 – Bear left onto the Old Upper Dam Road. Mile 4.6 – Floating Bridge, I-64 is visible on your right as you cross the bridge. 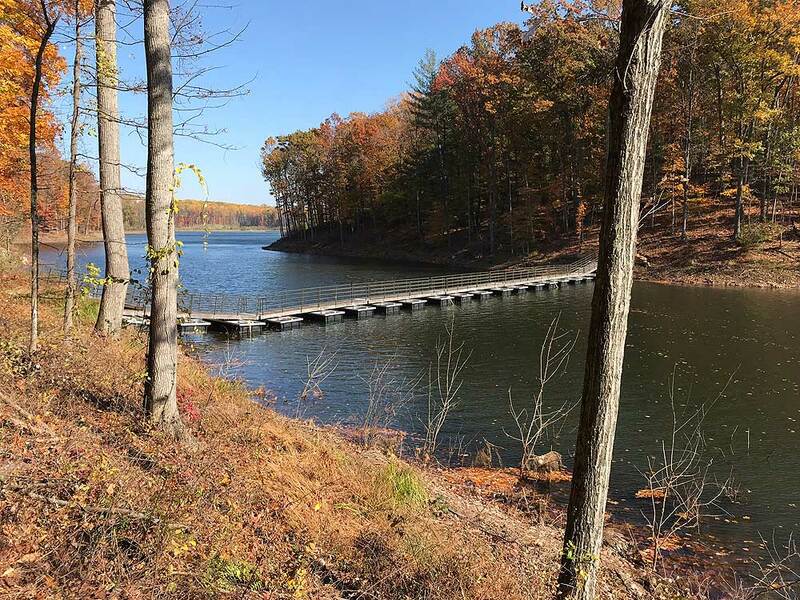 Mile 4.8 – Intersection with Peninsula Trail, we bypassed this, this trail takes you to the remnants of the old Upper Reservoir Dam. Prior to 2014 there were 2 reservoirs. 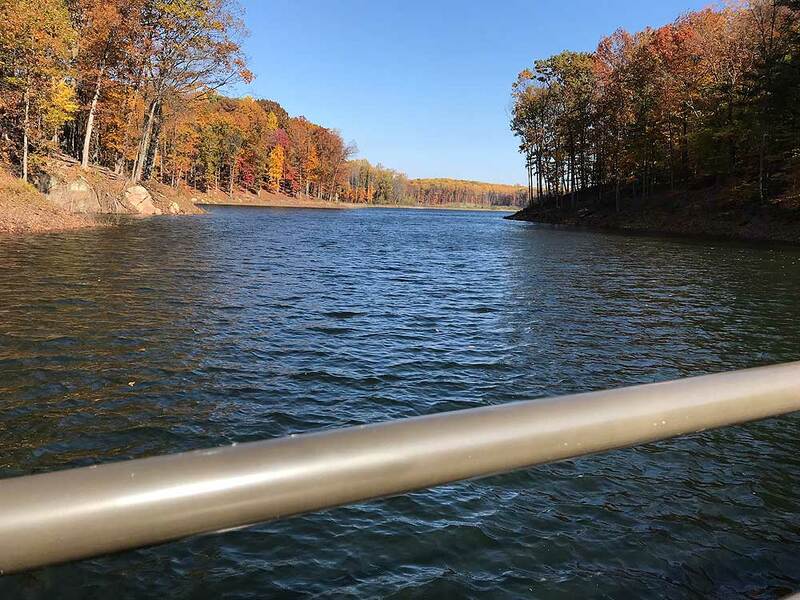 Mile 5.8 – Arrive at new dam. Cross dam then cross road to reach trail to return to parking lot. Mile 6.1 – Parking Lot. 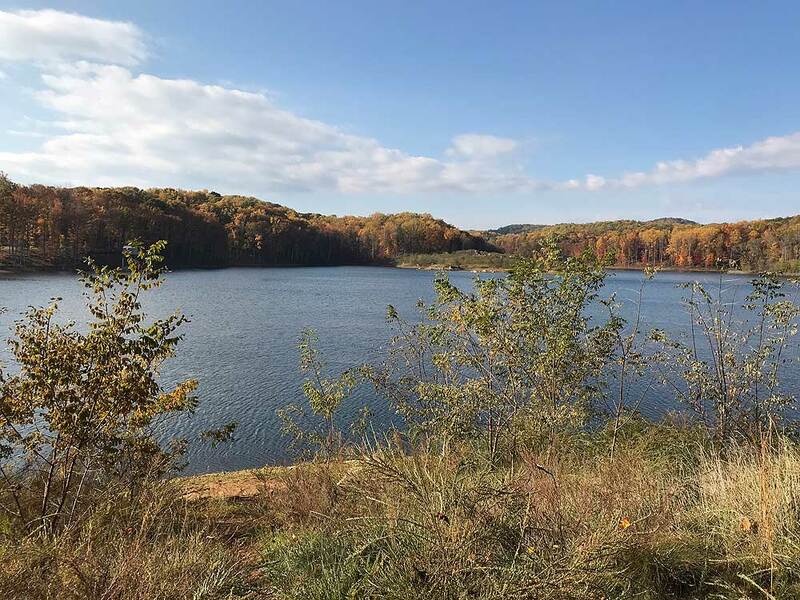 Photo Note: We have left some of the photos below from our original 2011 posting of Ragged Mountain prior to the expansion of the reservoir. There are no longer 2 lakes, the upper dam is gone, the upper dam Pump House is gone and the chimney ruins are also gone. We hadn't hiked this since the reservoir was raised a few years ago. We hiked it counterclockwise, but signage is better if one goes clockwise. Parts were a bit muddy, but we have had record rainfall for the last eight months. All in all very pleasant, and the bigger lake is prettier than I remember it before. This was a very pleasant hike. It was a little more difficult than we expected. A good bit of up and down on the hills. The map and directions of this site were spot on. We did not see but one other hiker. This is good hike for a morning or afternoon with a good mild workout. 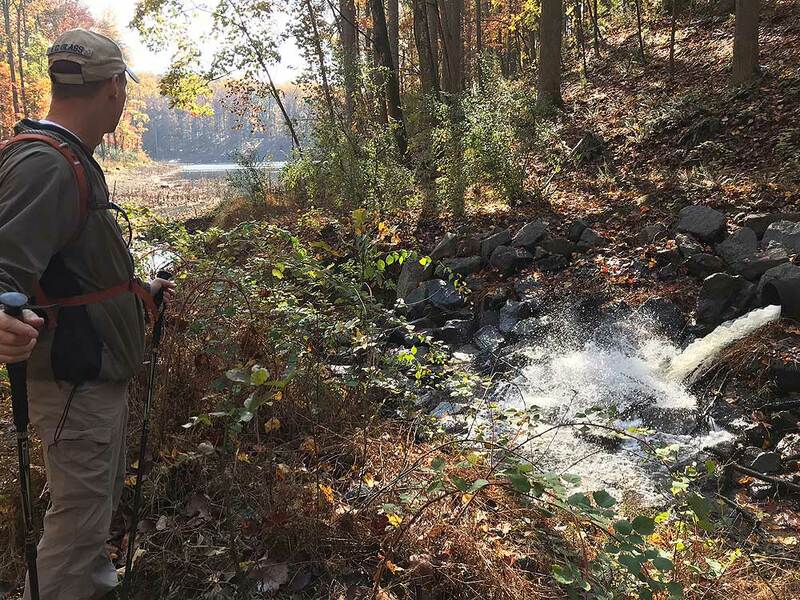 If you're near Charlottesville, go do this hike before it's too late. According to the news, contracts have been let for construction on raising the dam to begin in March. This is a beautiful hike, and I will be very sad to see it destroyed. 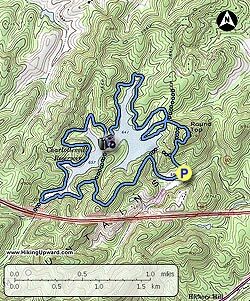 I have led Cub Scout hikes here but I am surprised this hike is listed on the HikingUpward site, as it is little more than a woods walk. 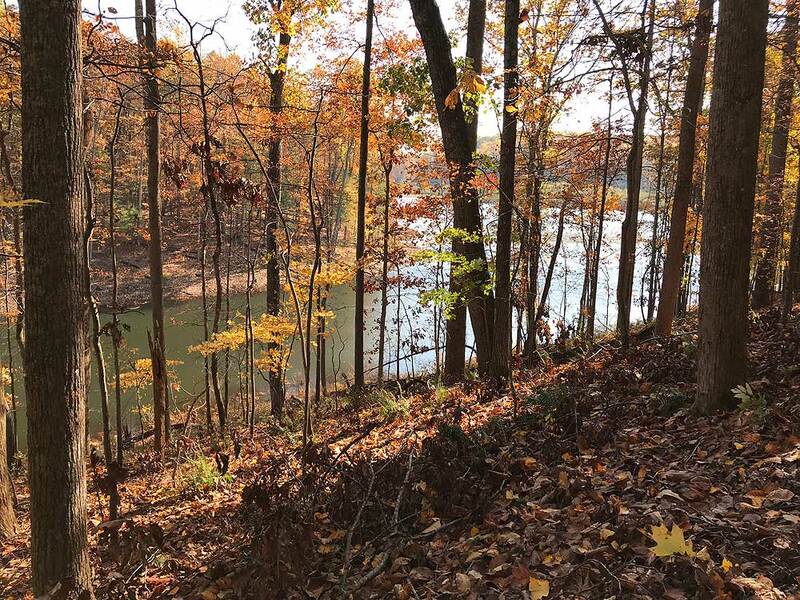 There are better hikes within a short drive of Charlottesville - Fortune's Cove in Nelson County, and Mint Springs, Preddy Creek and the new Patricia Byrom Park in Albemarle County come to mind. 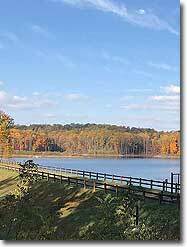 UVA's Observatory Hill offers a better workout and is closer to town. As a recent reviewer noted, there is a new dam scheduled to put some of these acres under water. The land is owned by the local water authority, and in the meantime we are all hiking on these paths due to their kindness. They bought the land for future expansion, and most everybody who lived through the 2003 Charlottesville drought where car washes were closed and restaurants saved water by serving food on paper plates agrees that additional capacity is needed. 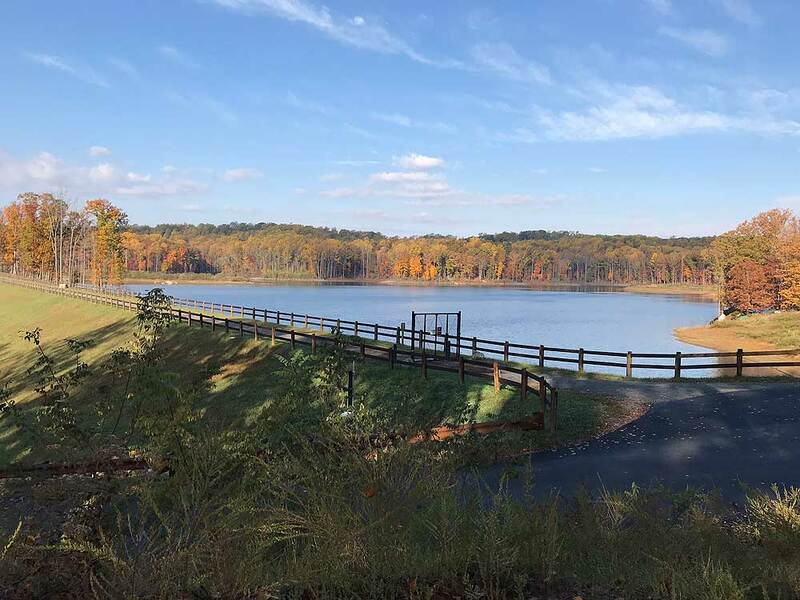 If you do go, be sure to note the many restrictions that the Ivy Creek Foundation put on the land when they took over responsibility for the land a few years back. No longer are dogs or bikes welcome on the paths. No running. No way geocaching is permitted. 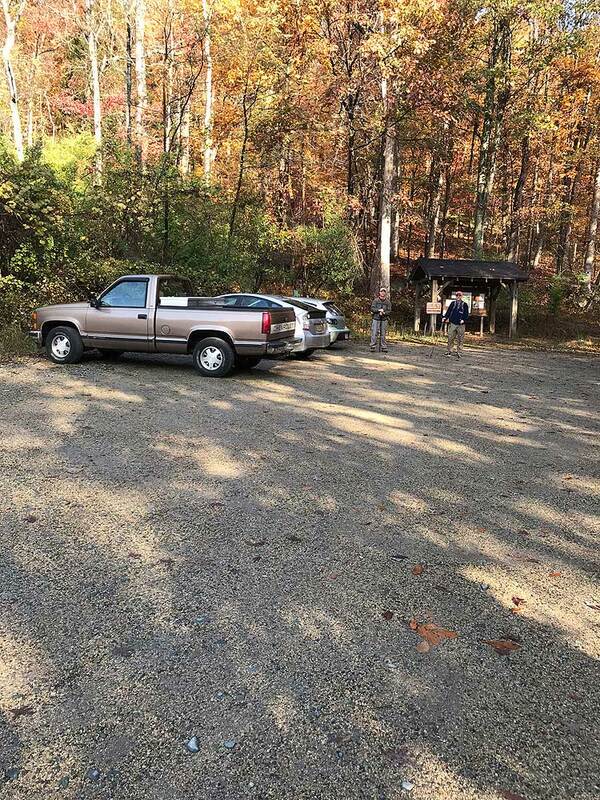 An Albemarle County official told me that a landowner wanted to donate adjacent land for park use but was afraid that the Foundation would control it. So that land stayed private. 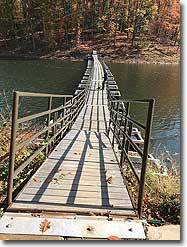 If you live in Charlottesville and have young hikers, check this place out. Otherwise, there are a multitude of finer spots close by. 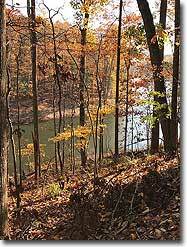 I led a hike here on Sunday with a group of 20 from the Central Virginia Trailblazers group. We hiked the entire 7-mile loop, with a stop for lunch near the Gate House on top of the earthen dam. My only criticism: The Upper Lake Trail is not as well worn as the Main Trail, and with leaves on the ground, it's very difficult to follow despite the blue blazes. We met another couple near the concrete dam close to the end of the trail, and they told us they had trouble as well. Otherwise the weather was perfect, and the fall foliage was beautiful. Definitely worth the one-hour drive from Richmond.